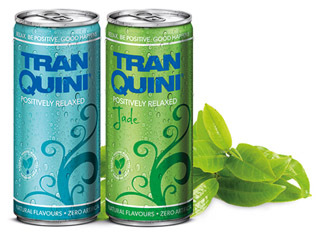 Full of herbal extracts, tasty teas and natural fruit juices oozing with Vitamin B12 it delights, excites and re-enhances your positive energy levels while encouraging relaxation. 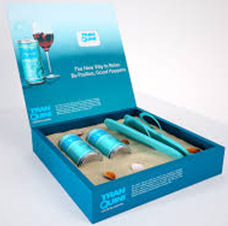 Thus, it is a very clever marketing ploy that that they package two cans in a gift box with a pair of flip-flop sandals, that silently shouts “beach time-lets go unwind.” The alliteration expands more with the thought it creates of Tranquini – bikini time. ‹ Who owns that consumer brand?